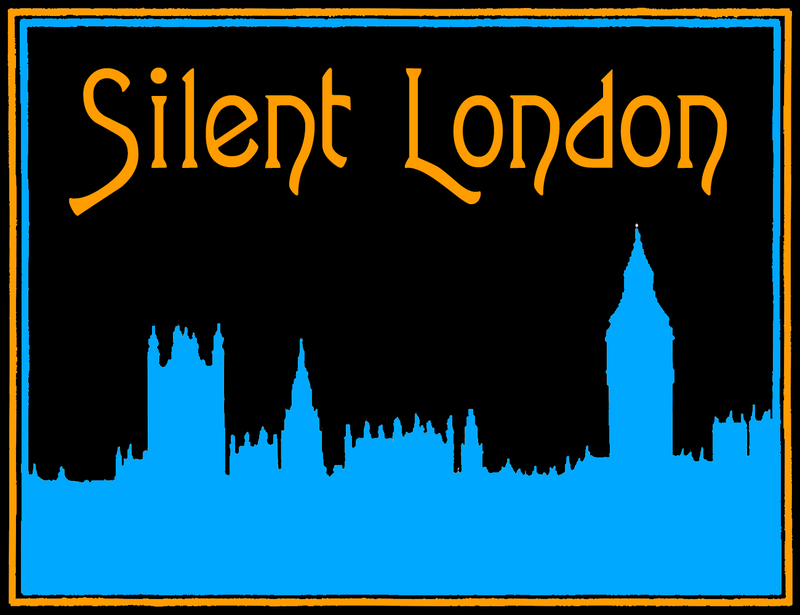 This is a guest post for Silent London by Rosie Taylor. An event producer and freelance film researcher and historian, Rosie is festival curator for Afrika Eye Festival, and assistant curator and head of digital media at the Slapstick Festival. I’ve been eagerly awaiting the arrival of The Dawn of Technicolor since I first saw James Layton and David Pierce’s presentation in Pordenone in October 2014. And the immediate thing that struck me when I first lay eyes on this book is its sheer size. It is second in size only to an enormous old and out-of-print book I have on Paul Cézanne – I’m going to struggle to fit it on my bookshelves! The reason for its size is immediately obvious from looking at the cover, which boasts a closeup of a strip of “35mm nitrate Technicolor cemented print” from Fig Leaves (1926). As you turn the pages you are not overwhelmed by images (as I was originally expecting, which slightly disappointed me at first), but instead the book is carefully laced with a variety of photographs, film strips, diagrams, and images of archival texts and diaries, giving a beautifully textured visual history, which complements the reading nicely. The quality of the illustrations “reproduced almost entirely from original artefacts”, is excellent, so if like me you enjoy having a good look at everything, it’s exciting. However, as much as one likes to take a gander at the impressive pictures, a bit of reading is also important. And, if I am honest, I did find the size of the book a little daunting at first. However, once I started reading, I discovered that the language is very accessible, and though it is essentially a factual history, it is passionately written without being too personal. It takes you through the complex and multifaceted aspects of the company’s development, giving a great sense of the personal and professional aspirations, challenges, set-backs, and triumphs – all to the point that I was rooting for the Technicolor team! A prior basic knowledge of the technical workings of film is probably useful. Personally, it is something that fascinates me, but I am still learning. So while I got the idea of how the colour processes worked, I must admit some things went over my head. However, don’t let this put you off. This book brilliantly weaves through the creative, scientific, technical, business and legal history with ease, and avoids lengthy and unnecessary descriptions. Instead the relatively brief paragraphs lead on to the next with great relevance, providing a good overview of every aspect of the company’s development, including the dramatic changes in film production, and the industry’s changing attitude to colour film, which I found fascinating. It also gives an overview of Technicolor’s competitors such as Prizma, and Cinecolor, giving a well-rounded perspective on the development of colour. In keeping with this are more detailed short biographies of key people in the Technicolor story, kept separate from the main text, giving you the option to “take it or leave it”. So there’s no need to wade through these details to get back into the story. The only slight criticism with this is that the bios are not always placed within the main text where people are mentioned and you sometimes have to skip back or forward to read about them. The Dawn of Technicolor really brings home the fact that “motion pictures are an art form enabled by technology”, and how so much of the industry changed as a result of colour. The foundations of cinema as we know it today were built by these pioneers. Lest we forget. Wow, wish I’d had this book handy when teaching film history ten yrs ago. Wish I’d had this book when I was teaching film history ten yrs ago. I’m so excited to read this! I don’t have it yet – the Eastman House website doesn’t allow sending to my address, so I’ll have to go the Amazon route. Anyway, great overview, Rosie. I hope you’re well – I’m sad we won’t see each other in PDN this year!